With the Galaxy NX camera being hooked up to the Internet all the time (as long as there is a signal, of course), you need not worry about your photos getting lost, ever again. After all, each photo that is taken will be uploaded to the cloud for safe storage. It does not matter whether you are on the move or at home, the Galaxy NXs’ seamless connectivity will be able to transcend the current offering to photographers. Not only that, you can also follow up on the trail of other shutterbugs who have gone before you, as the Photo Suggest feature would offer location based recommendations of popular photography spots, and all of these recommendations have been sourced from a huge library of images which were snapped by fellow photographers prior. 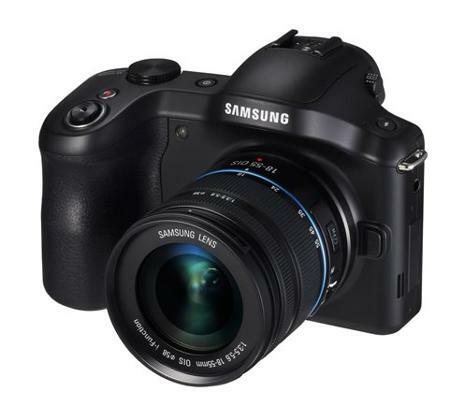 The Samsung Galaxy NX would pack in a 20.3-megapixel APS-C Sensor that is said to deliver bright and detailed images, even in low light conditions, where it will be accompanied by the DRIMe IV Image Signal Processor, achieving speed and accuracy levels which today’s photographers demand. Not only that, it also boasts of an Advanced Hybrid Auto Focus (AF) System, a 1/6000 sec shutter speed, a bevy of Interchangeable Lenses to choose from, all running on Android 4.2 Jelly Bean as the platform of choice. There is no word on pricing just yet though, but it should arrive sometime in the third quarter of the year.